Carol J. Spizziri is on the right end wearing a gold necklace (source) According to Where Did the Save-A-Life Money Go? 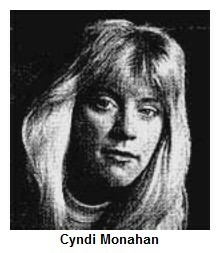 by San Diego Reader reporter Don Bauder, as of 2010 Spizzirri lived in a San Marcos mobile home park. Click here for media reports about the Save-A-Life Foundation (SALF) scandal. 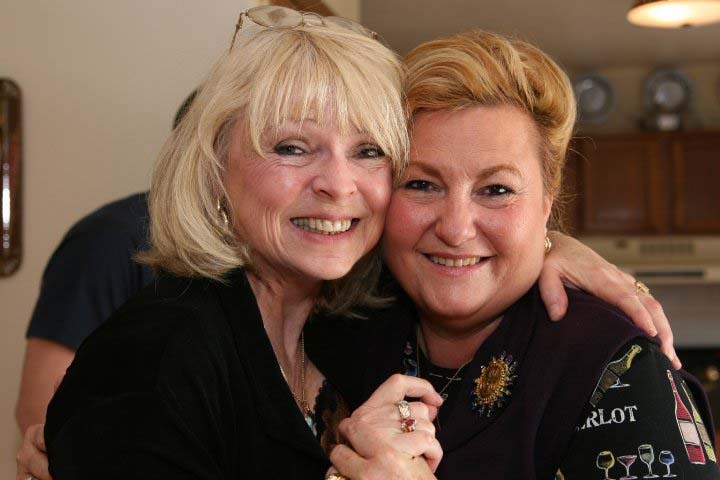 Click here for media reports about former SALF employee Annabel Melongo's efforts to expose the mess including her ongoing, wide-ranging federal civil rights lawsuit against SALF founder/president Carol J. Spizzirri (formerly of Grayslake, IL) and a number of Illinois law enforcement officials. Via Judge John Z. Lee's March 19, 2019 Memorandum Opinion & Order in response to defendants' motions for summary judgment, Melongo's lawsuit is apparently heading to trial. Click here to download a copy. Here's Spizzirri's May 11, 2018 deposition (entered as a plaintiff's exhibit) in which my name turns up a number of times. (Click here to download a copy.) Followers of the scandal may recall that in 2007, SALF filed a specious, failed lawsuit against me and two other defendants which I discussed in The Downfall of a Non-Profit: The Ongoing Saga of the Save A Life Foundation, a thorough 2015 article by Patch reporter/editor Tim Moran. Below the hash marks are excerpts from my March 20, 2019 letter. A copy via Scribd is embedded below. Click here to direct download. Coincidentally, this week Cincinnati's Heimlich Institute's notorious "malariotherapy" experiments made headlines in China's Xinhua News Agency and STAT News. Click here for my compilation of related media reports and TV spots re: a 2008 US Congressional race. I’m the son of the late Henry J. Heimlich MD, known for the Heimlich maneuver anti-choking treatment. ...One of my research/reporting interests is the Physicians Committee for Responsible Medicine (PCRM), a high-profile Washington, DC nonprofit that’s been around since 1985. Per my website, I’ve also been a public critic of PCRM because of their problematic 30-year relationship with my dad. After talking to Mayo Clinic for more than a year, the Washington, D.C.-based Physicians Committee for Responsible Medicine filed a complaint asking the U.S. Department of Agriculture’s (USDA) Animal and Plant Health Inspection Service to investigate Mayo’s use of pigs in annual training emergency medical training. ...I thought I’d take the opportunity to share with you some information which in my opinion raises some interesting questions about the organization. ...(Via) numerous published articles from 1994 to the present which I’ve compiled on my blog, PCRM has been called an “animal rights” activist group. If accurate, presumably that perspective influenced the complaint they filed with the USDA against your institution. In Tampa, which has one of the highest drowning rates in the country, Dr. James Orlowski said he has documented nearly 40 cases where rescuers performing the Heimlich maneuver have caused complications for the victim. Orlowski is chief of pediatrics and pediatric intensive care at University Community Hospital in Tampa. For decades, those supporters included PRCM and the group’s founding president, Neal Barnard MD. ...Even after the treatment had been thoroughly discredited and my father had been exposed as a dangerous scammer, Dr. Barnard continued to urge the public to perform the Heimlich maneuver on near-drowning victims. ...Via a 1982 Wall Street Journal article (in which he claimed he knew how to bring about world peace), dad claimed he could cure cancer by infecting patients with malaria. Dad credited Julius Wagner-Jauregg, a German eugenicist, Nazi sympathizer, and winner of the 1927 Nobel Prize for Medicine as his inspiration for the concept. Dad then began claiming malaria could cure Lyme Disease and, in collaboration with a New Jersey physician, the Heimlich Institute oversaw clandestine experiments on US Lyme Disease patients in Mexico City and Panama City...The project was shut down in 1992 after an investigation by the U.S. Centers for Disease Control and Prevention (CDC) because returning patients infected with malaria were bringing the disease into the US. ...What makes the history even more bizarre is that my dad (who died in December 2016) had no background or training in immunology. Nevertheless, because of the fame he acquired as a result of developing and promoting his namesake anti-choking maneuver, people trusted him and he was able to raise millions of dollars from private donors including Hollywood celebrities like Jack Nicholson and Ron Howard who helped fund the experiments on Chinese AIDS patients. As it happens, in 2008 Eric Matteson MD, your prominent Mayo Clinic colleague, corresponded with PCRM's Dr. John Pippin about the “malariotherapy” experiments and his organization’s relationship with my father. 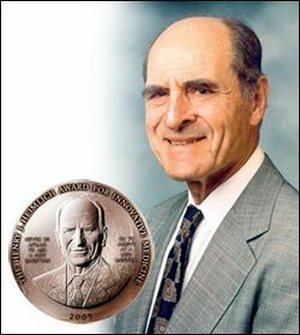 The Physicians Committee for Responsible Medicine salutes the life and career of Henry J. Heimlich, M.D., a tremendously innovative and creative scientist. 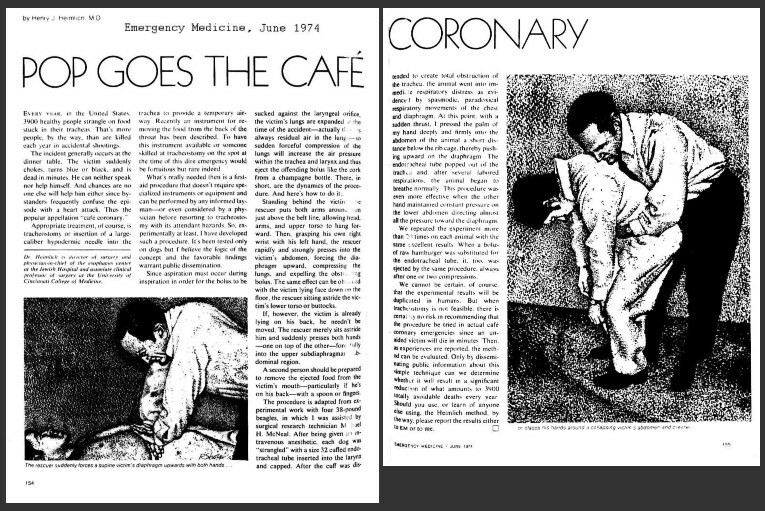 The Heimlich maneuver, for which he is known, has saved countless lives. ...“Dr. Heimlich was the embodiment of innovation, compassion, and getting the job done,” says Physicians Committee president Neal Barnard, M.D., F.A.C.C. ...I can’t account for Dr. Barnard and his organization’s unwavering admiration for my dad, especially their unwillingness to distance themselves from the Heimlich Institute’s horrific “malariotherapy” experiments, described here by Cyndi Monahan, a New Jersey Lyme Disease patient via a June 1991 American Health article, Heimlich's Maneuver? "I'm going back for another treatment," she says. "Dr. Heimlich told me I may have to do it again. He's made all the arrangements with the doctors in Panama." I received your generous donation of $1,000.00 on May 20. Thank you so much for your continuing support of our research projects. I'm pleased to report our first group of Lyme disease patients has completed malariatherapy at the clinic in Panama and their induced malaria is being cured. In fact, I leave tomorrow so that I can be there this weekend. The results so far are gratifying, and we hope to see even more progress in the weeks to come. In about an hour, Susan and I will be meeting with Mike Handley to discuss the PSA's to focus on responsible medicine. Keep in touch. As soon as I have finished documenting our recent malariatherapy group, a report will be sent to you for your interest. Thought you might care to see the enclosed speech given at graduation of Eastern Virginia Medical College. Finally, re: the use of animals for training or for medical research, I have zero knowledge of the subject, therefore I have no opinion. I do, however, have a devil’s advocate question that might be posed to Dr. Barnard, Dr. Pippin, and/or other PCRM representatives. ...Via Pop Goes the Cafe Coronary published in the June 1974 issue of Emergency Medicine in which dad first described the treatment he subsequently named the Heimlich maneuver. ...Standing behind the victim, the rescuer puts both arms around him just above the belt line, allowing head, arms, and upper torso to hang forward. Then, grasping his own right wrist with his left hand, the rescuer rapidly and strongly presses into the victim's abdomen, forcing the diaphragm upward, compressing the lungs, and expelling the obstructing bolus. ...The procedure is adapted from experimental work with four 38-pound beagles...After being given an intravenous anesthetic, each dog was "strangled" with a size 32 cuffed endotracheal tube inserted into the larynx. After the cuff was distended to create total obstruction of the trachea, the animal went into immediate respiratory distress as evidenced by spasmodic, paradoxical respiratory movements of the chest and diaphragm. At this point, with a sudden thrust. I pressed the palm of my hand deeply and firmly into the abdomen of the animal a short distance below the rib cage, thereby pushing upward on the diaphragm. ...We repeated the experiment more than 20 times on each animal with the same excellent results. ...Since dad used the beagles in his research, if PCRM had been around at the time would Dr. Barnard and his organization have attempted to shut down the research and thereby presumably derail the development of the Heimlich maneuver which, according to PCRM’s remembrance of my father, “has saved countless lives”? My dad demonstrates his namesake anti-choking maneuver on Dr. Xiaoping Chen, Guangzhou (1995). Chen, who trained at UCLA and headed the Heimlich Institute's notorious"malariotherapy" experiments on AIDS patients, reportedly is now conducting controversial "malariotherapy" experiments on cancer patients. Click here and here. Lifetime gratitude from my wife Karen M. Shulman & me to Robert S. Baratz MD PhD, Elizabeth Woeckner PhC, Paul Bronston MD, Tom Francis, and to the many journalists and others who contributed.